According to Nestle and its chocolate supplier Barry Callebaut, the new bars launch in Japan and South Korea today, January 19th. There’s no official word on whether they’ll show up in U.S. stores, so if you want these luscious pink bars, and you do, you can buy them online in February just in time for Valentine’s Day. Did you know that Japan has over 300 Kit Kat flavors and even has Kit Kat Chocolatory boutique stores? 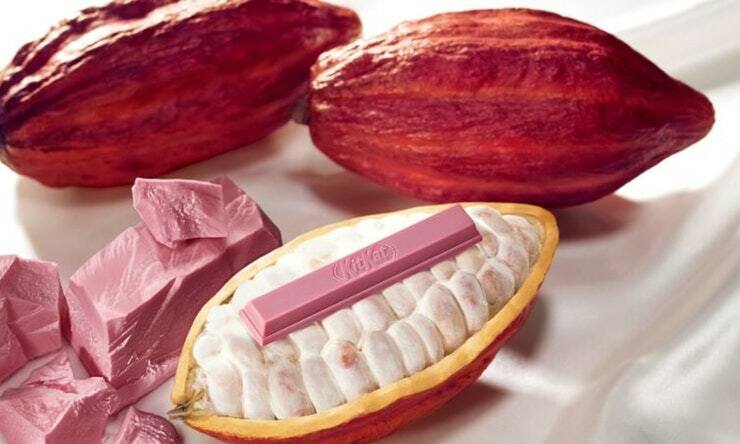 While we’re referring to this new flavor as “pink,” it’s actually ruby chocolate, because it’s made from ruby cocoa beans. Barry Callebaut created this new reddish chocolate in September 2017 and called it “the fourth type in chocolate” (via CNN). The Kit Kats, however, come in a luscious pink box with “Ruby” printed on the side and are packaged in a super photogenic library format along with the other three types in chocolate: dark, milk, and white. 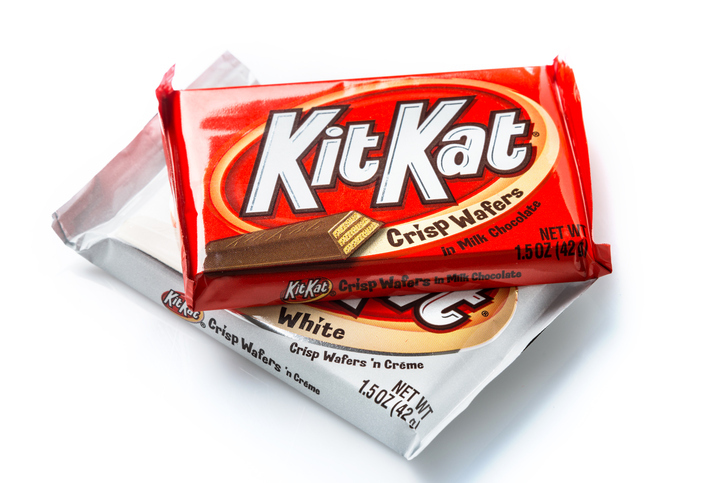 One of the most interesting selling points about the new Kit Kat is that the pink hue is all-natural, meaning no artificial colors were added to achieve its millennial pink status. Even though it’s made from the ruby cocoa beans, it reportedly tastes like berries. We expect to see a whole slew of pink chocolate products in the coming years, so call yourself an early adopter of the millennial pink chocolate trend and order some of these Kit Kats online here.